When you think of Chris Hemsworth, what type of man do you see? Do you see a tall, successful, driven, alpha male that would conquer the world? What would be your strategy to attract him? Would you play hard to get, make him chase you? While he may appear to be all ‘Alpha’ if you truly understand, The 4 Type of Men, you would look a little deeper and see the signs that he is truly, ‘The Guy Next Door’. You know by now that if you play hard to get with, ‘The Guy Next Door’, he simply thinks you’re not interested and disappears. He won’t chase you, because is attracted to a feminine woman that lets him see her vulnerability and that she is interested in him. The ‘Guy Next Door’, doesn’t like games. He wants to commit, get married and have a family. He is dependable and wants to be close to you. 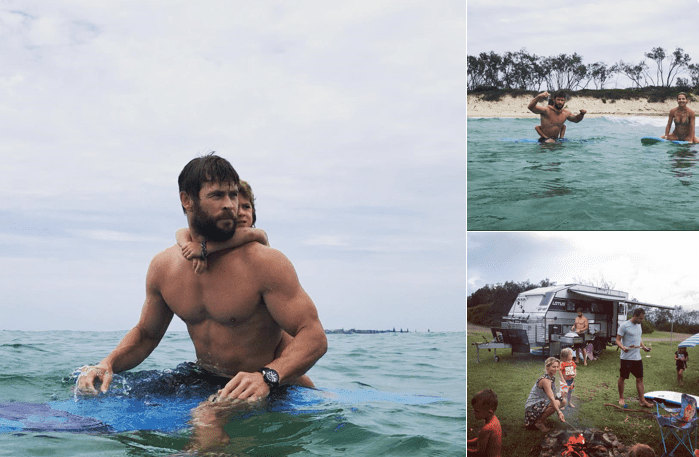 Look at Chris Hemsworth, he married young, has 3 children, lives a family orientated life with his beautiful wife in the Hinterland of Byron Bay. He is down to earth, not partying amongst the big shots in Hollywood. His wife is feminine, she has a successful career yet it’s not her be all or end all, her focus is family which is why Chris (The Guy Next Door) adores her! Most men are a blend of 2 possibly 3 types of men. They have an external persona (work), and internal one (home life/family). Chris externally is an alpha male that is why he is so successful at work but deep down when you get to know him he is, ‘The Guy Next Door’. It’s important you get it right with “The Types of Men”, because the wrong strategy could mean the difference between attracting the man of your dreams or losing him to another woman. Understanding your man and effective communication is critical in winning his heart. This information alone will be a game changer for you.